Whether you're new to Montreal or have lived here all your life, there's always something you need to know. From finding the best deals on groceries and restaurants to what to throw in your recycling bin, you'll want to keep up on what's going on in the city. 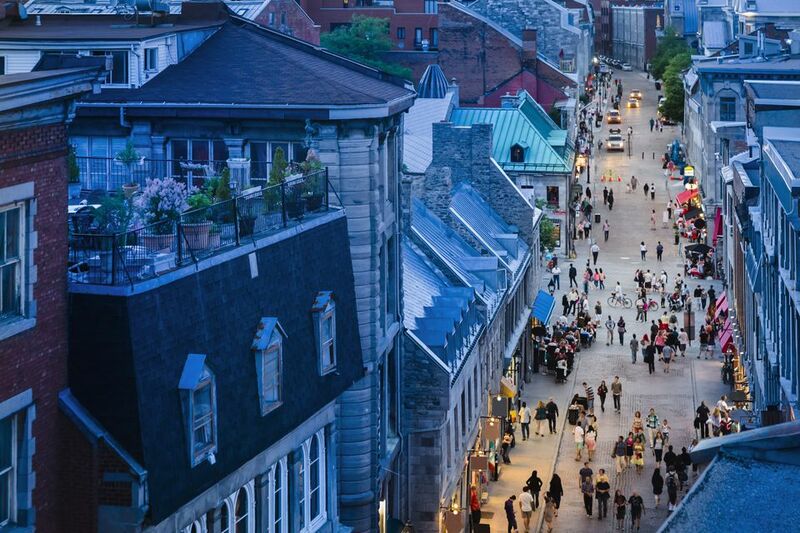 Let's explore the finer point of living in Montreal. We'll show you ways to get around town and find a job as well as find relief from the daily stresses of life. There are many ways to save money on food in Montreal, especially when it comes to fresh produce. The city is home to many public markets where you can pick up fresh eggs, meat, fish, fruits, and vegetables. Among the best are the Jean-Talon Market, the Atwater Market, and Marché Maisonneuve, but there is much more available. A brilliant way to pinch pennies is to take advantage of produce as it comes into season. You will find the best deals by tailoring your menus to meet the seasonal trends and can support local farmers and vendors at the same time. This is one of the ways that you can become part of Montreal's slow food movement, which focuses on eating locally. Another option is to join one of the city's food co-ops or groupe d'achat. By pooling your money with other people, you have bulk food buying power while supporting local farms. You work hard for your money. So when you go out for a meal on the town you want value for your dollar. What you will quickly find is that Montreal has something to offer foodies of every type and there's a restaurant for any occasion. For instance, some of the best brunch menus can be found at the Sparrow, La Récolte, and Café Régine. If a late night meal is on your radar, you might consider restaurants like Patati Patata or Nouveau Palais. Montreal also has many great venues for romantic dinners. If, however, you want to explore a few new options, be sure to plan some dinners during Montreal Restaurant Week. It is an annual event—typically in November—that features around 150 participating restaurants, so there's plenty of places to find a table and enjoy an affordable meal. Let's face it. When times are tough, stress invariably goes up. You can make that stress work for you by channeling it into something positive and enriching. You will find that Montreal offers a great variety of options for relaxing. Many are accessible to nearly everyone, from young to old, rich or poor, fit or sedentary. For instance, you might stroll through the Montreal Floralies Gardens, Botanical Gardens, or Westmount's Summit Park. Releasing tension is also possible through meditation and there are a number of free yoga classes offered in the city. You may also find many health benefits beyond stress relief by taking up tai chi. Commuting in Montreal without your own automobile is convenient, affordable, and relatively safe. One-third of Montreal households do not own a car. That means it's in this city's best interest to keep public transportation a viable and green alternative to using a personal vehicle. STM Montreal is the city's public transit system. It includes buses, taxibuses, and the subway system known as the "Metro." It is affordable and residents will find the system easy to navigate and accommodating to everyone. BIXI is a unique feature and it is the city's system of public biking. It is a quick and inexpensive way to get from one point to another on a rented bike. You might also find yourself in need of one of Montreal's taxis from time to time. A number of companies service different areas of the city and some offer specialty services for people with disabilities or those headed to or from the hospitals. Unlike every other North American city, Montreal is a French city. Finding a job in Montreal as someone who only speaks English without a pre-existing network of connections is a challenge. Speaking fluently as well as reading and writing in French is considered essential for many, if not most jobs in this city. Mind you, exceptions to this rule exist and examples are many. Still, the best advice to anyone who is not bilingual, without a network, and is considering moving to Montreal is to learn French as soon as possible and start a Montreal job search before relocating. To find those jobs, you will find a number of good online resources helpful. These include the Emploi-Québec Job Bank as well as the Canada Job Bank. Be diligent and patient in your search and the right opportunity will come up. The province of Quebec's blood alcohol limit may seem lax compared to the rest of Canada. However, be prepared to feel the full (and expensive) effect of the law if you drink and drive in Montreal and get caught. The good news is that Montreal has a great network of designated drivers. Known as service de raccompagnement, organizations like Operation Red Nose are available around the holidays while others ask for memberships. The point is that if you like to go out and have a good time, you have affordable options beyond the taxi system to get home safely. There two more important details that come with living in Montreal. They concern being a responsible citizen of the city and it's essential that you know how to navigate these systems. Voting in Montreal, whether in municipal, provincial, or federal elections, requires that you register. It's important to understand if you're eligible and how to find information on upcoming elections. Recycling is a big deal in Montreal and the program is run by the city. It does, however, come with many rules about what can and cannot be recycled. Brushing up on those will ensure you're doing the most you can to reduce waste and help the environment.